Get hold of the golden touch! 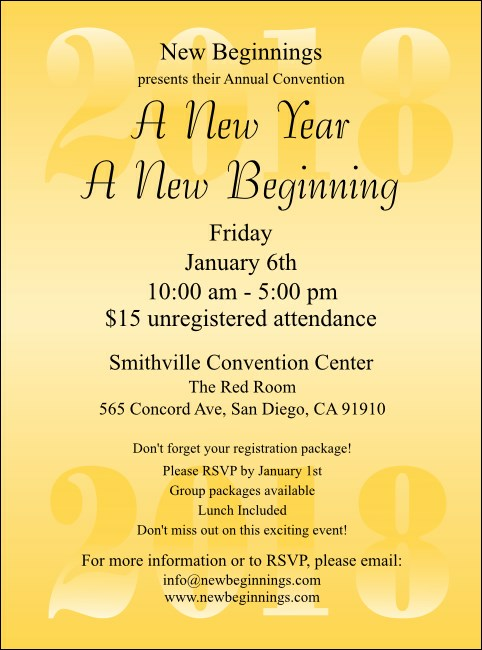 Choose this Year Gold Flyer template for any big yearly event you can think of and keep your eye on the prize: major event sales. Striking gold colors fade towards the center horizontally with black centered vertical text. Your event is priceless, but our Event Kits are affordable.